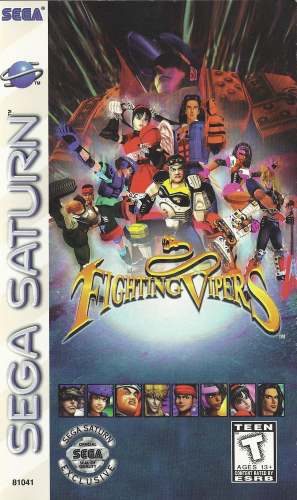 FIGHTING VIPERS brings fast-paced, brutal street-fighting action to the Saturn. Choose a fighter and hit the Training mode. 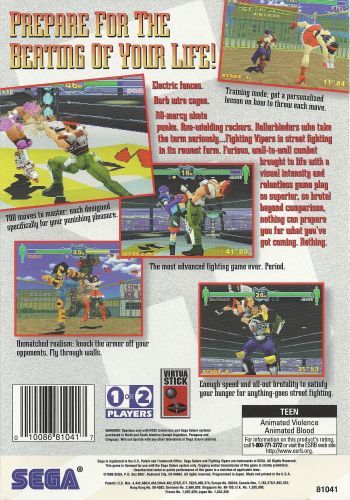 You’ll be given a personal lesson on how to perform each of the 700 moves in the game. After training, you’ll be ready to enter a fight. But, you need to stay away from the arena’s boundaries, or you will have to deal with barbed wire marks and electrical burns. If you are strong enough, you just might knock the armor off your opponents. See who the strongest warrior is with FIGHING VIPERS.